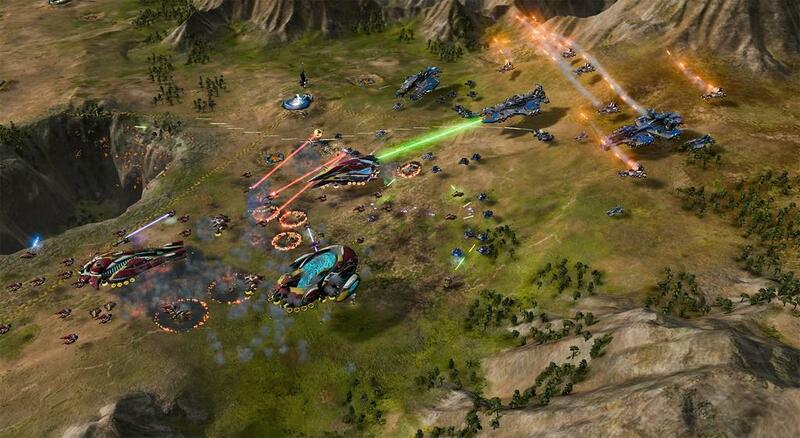 When the development of Ashes of the Singularity was announced, Stardock said that their goal was to create a next-generation RTS game. 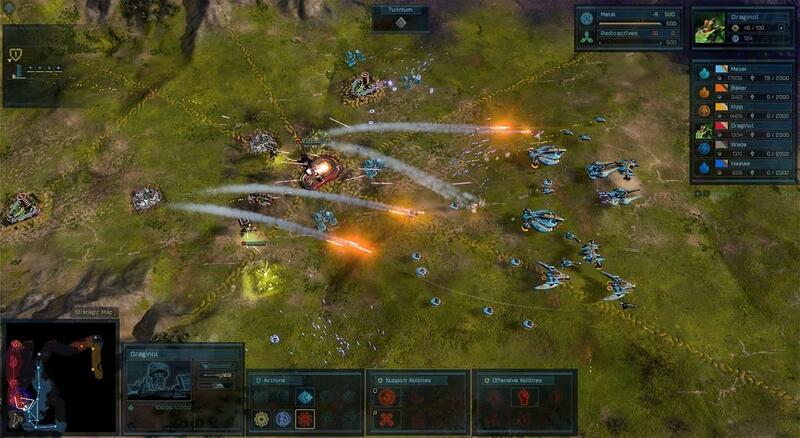 With Ashes, Stardock was going to bring modern technology (64-bit computing and DirectX 12) to a genre that hasn't seen a lot of technical innovation. The big promise of the Oxide engine was that it would unlock all kinds of new possibilities for game developers as it would allow them to build bigger maps, implement better AI, and more importantly allow for gigantic battles featuring hundreds of units. 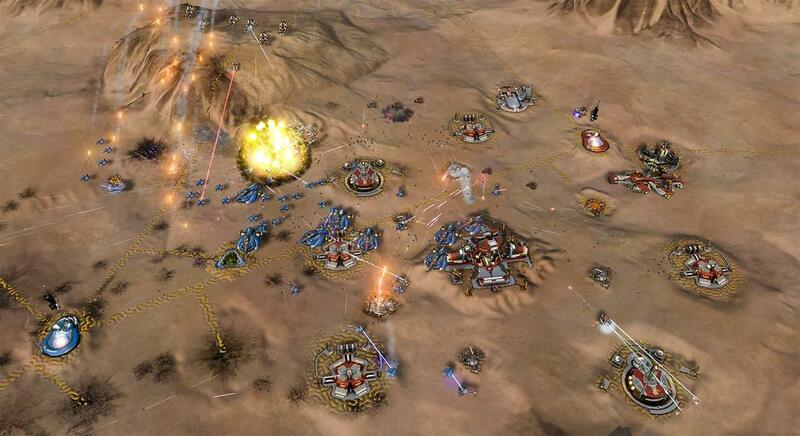 The thought of a "next-generation" RTS game both worried and appealed to me. While technical achievements are great, there have been too many cases where the technical advances of a game overshadow the stuff that makes a game fun. After all, it's not the game engine that makes a game great—it's the gameplay, controls, writing, and user experience that make a game great. So going in I was worried that Ashes of the Singularity would be (if I may use a movie metaphor) more like the technically advanced Avatar rather than the wonderfully conceived Toy Story. 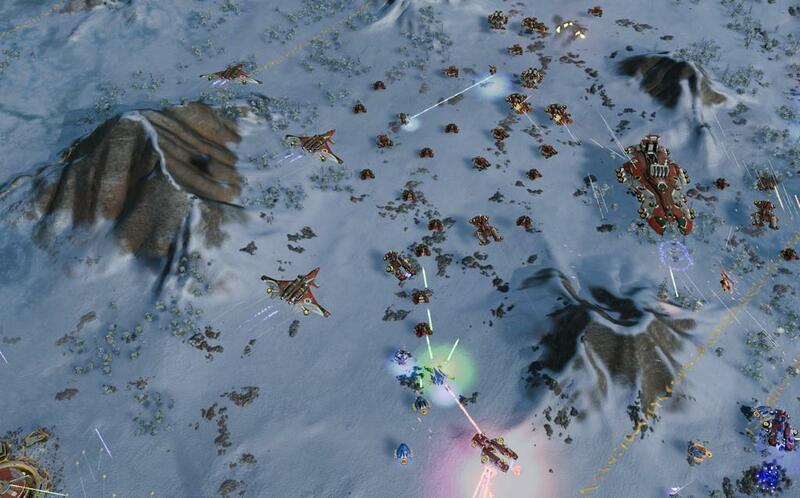 To see where Ashes of the Singularity landed, the first thing I did after installation was to fire it up a skirmish match against the easiest AI on one of the larger maps in the game. This allowed me to check out most of the features and units without having to worry about being overrun. Being able to fully explore the tech trees, and how the various systems of the game worked in a sandbox, has always felt like a better use of my time than shuffling through a single-player campaign that spoon feeds you features. 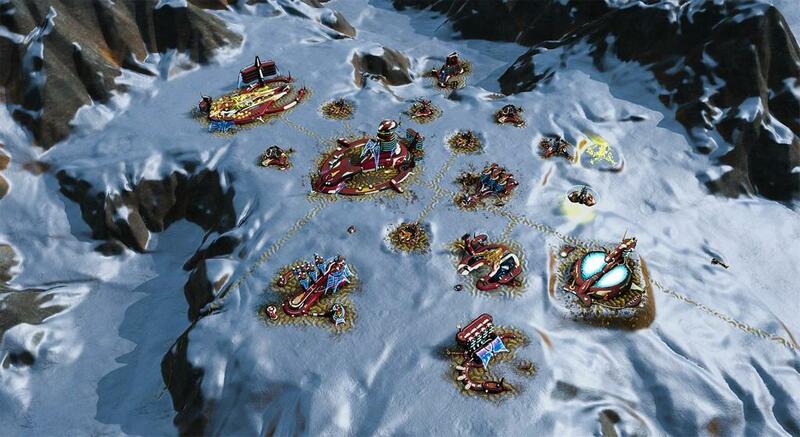 What I found was a rock-solid RTS that felt both familiar and new, and that left a big smile on my face. 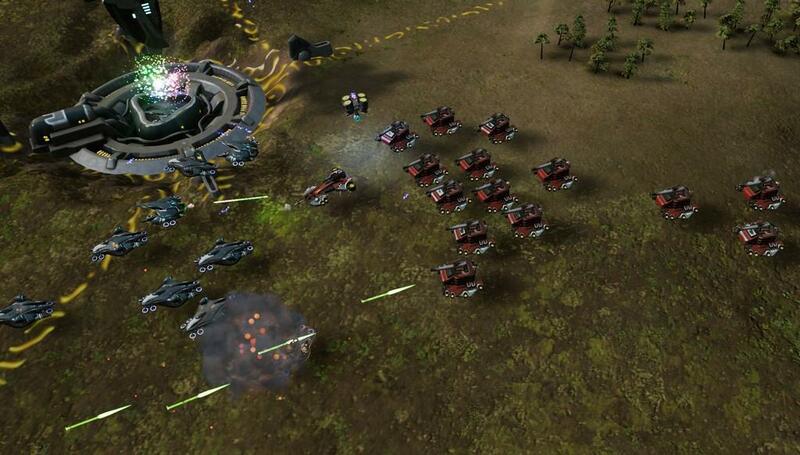 The game echoes many of the great RTS games that have come before it, as you can feel the influence of Command & Conquer, Total Annihilation, and Supreme Commander in every corner of the game. That's not to say that Ashes doesn't bring anything new to the table: Stardock has done a good job of balancing convention and invention. 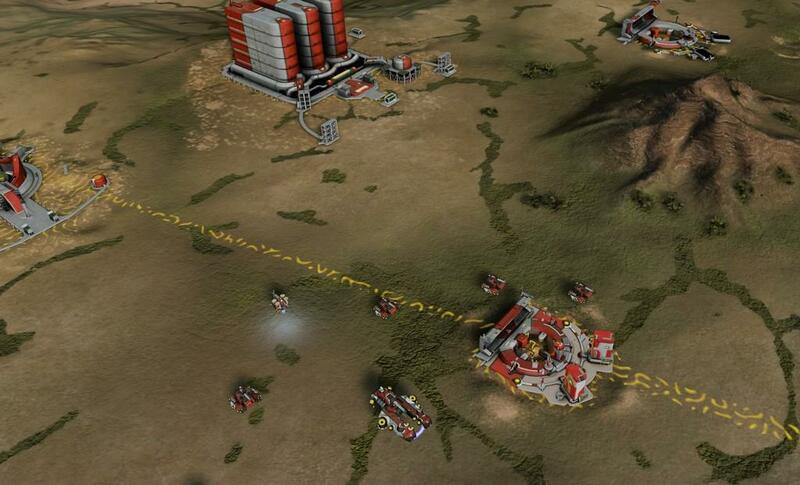 As with any RTS, the goal is to build up an economy so that you can start cranking out units and building up bases. Ashes has three resources to manage: metal, radioactives, and quanta. Metal is used to construct your basic units and structures; it is the most common element on each level. Radioactives are rarer and are used to build the higher-end units and structures. Finally, Quanta isn't something you find on the map but is gained by building facilities that transport the material to your team. 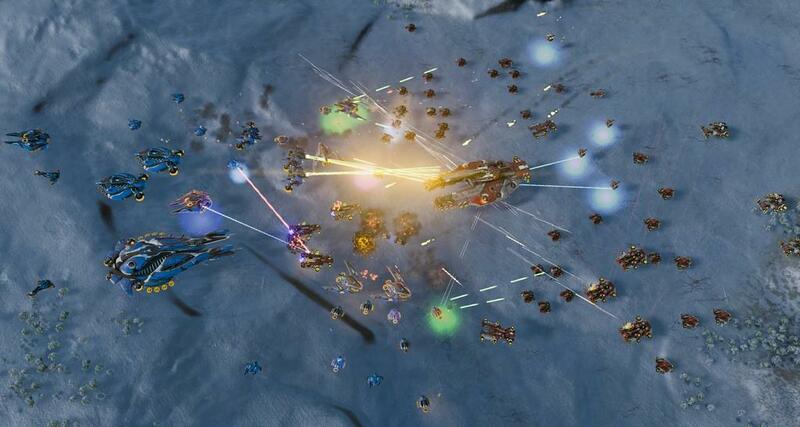 Quanta is critical as it can be spent to upgrade the health, radar range, and firepower of your units, as well as the number of units and storage for resources. Quanta also powers your orbital abilities. Each side has support and attack abilities that can be delivered anywhere on the battlefield, once the correct structure has been created. Each attack, however, will consume more Quanta than the last, which means you have to think about how and when you want to use the more devastating attacks. Winning a battle in Ashes can be done in one of two ways. The first is the removal of all enemy forces through overwhelming firepower. 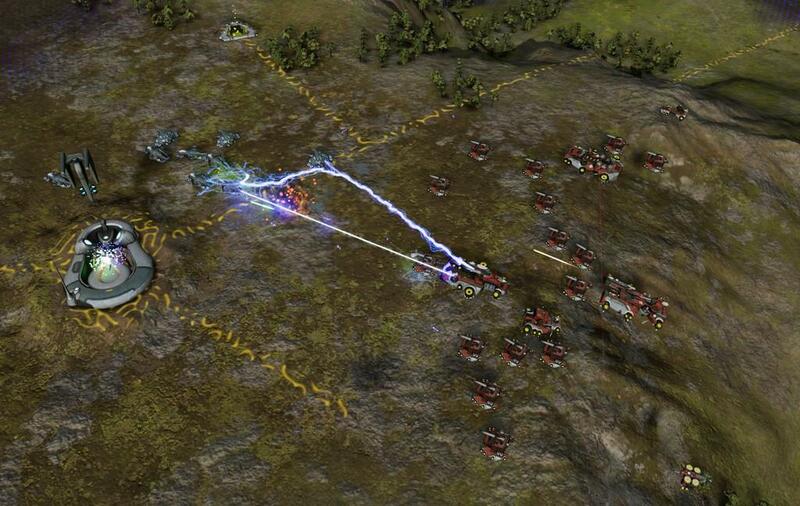 The second is by capturing and holding Turinium generators around the map. Once a player captures and mines enough of the material, they can claim victory. This is a nice touch, as it can help concentrate some of the battles on larger maps much like the capture points in the Battlefield games work. The game has two factions: the Post Human Coalition and the Substrate. 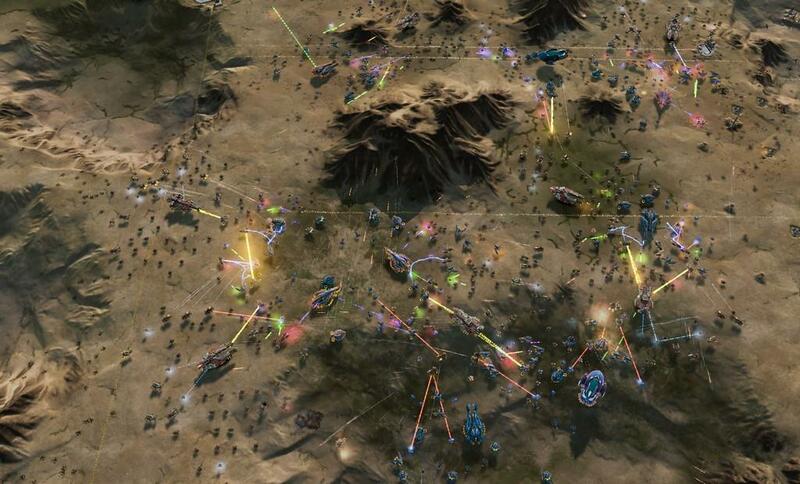 The post humans play like your traditional RTS army, as they are all guns and armor. The substrate are energy-and-shield based, which makes them a bit harder to play; you have to make sure that your units are supported by units that will recharge their shields, as once the shields are gone, the units are somewhat defenseless. It doesn't seem like a big change but it does make the Substrate a bit harder and more interesting to play. The game does have a single-player campaign, if you're interested in that kind of thing. Personally I think that's a lot like buying a BMW for the navigation system, but I do get that some people want an RTS that has a grand narrative to it. I got about halfway through the campaign before abandoning it for the other parts of the game. The single-player campaign was like being a kid and peering into the window of a toy store at Christmas. You can see all of the fun things to play with, but you can't actually play with any of them. And what toys you have at your disposal. The units are broken into four categories. You have entry-level cruisers and aircraft that are built using only metal. Mixing in radioactives with metals unlocks frigates and the top-of-the-food-chain Dreadnaughts. Dreadnaughts are where the real fun comes in. Having a few at your command changes the course of any battle. My personal favorite is the Hyperion, a large assault Dreadnaught that quickly lays waste to anything in its path. The large guns take a second or two to warm up, but once they do, the Hyperion is a beast. For the most part, the units in Ashes are cannon fodder. You're expected to burn through lots of them to succeed. The exception to this are the Dreadnaughts, as they alone earn experience and can be upgraded over time. The best way to succeed is to get a few factories to build units—and then click the Repeat Queue button to keep cranking out units. The pace of the game forces you to learn how to manage multiple armies so you can quickly build bases and acquire resources. 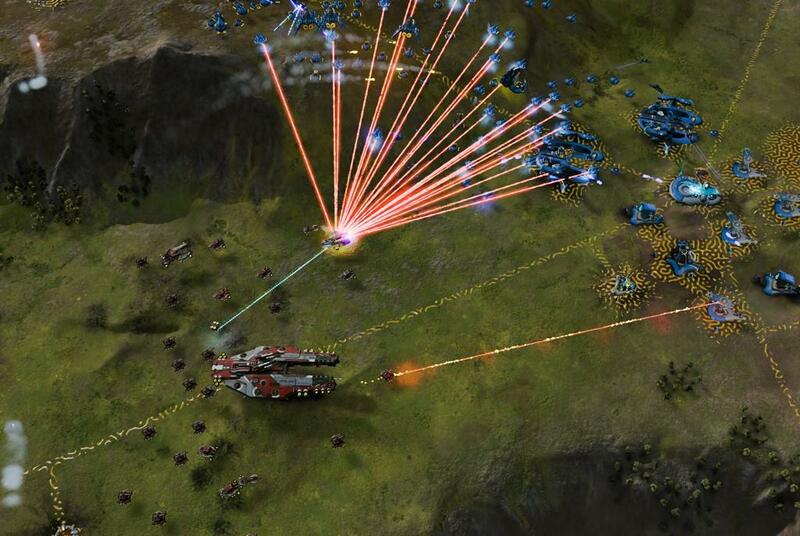 This exposed one of the first issues I had with Ashes of the Singularity: there is a lot going on and the game could use a few more tools to help you react to battles quickly. There are hotkeys for going back to your main nexus and to get an overview of the map, but there isn't one that takes you to the part of the map where something has just happened—like a base or Dreadnaught being attacked. It's great to know that an enemy dreadnaught has been detected, but having to spend time figuring out where it was detected on a large map takes away critical time needed to react appropriately to the event. This also applies to audio queues. It would be nice to get different notifications when different units roll out of a factory or are selected. It's a small thing, but it's one of those things that make managing large groups easier. That said, the rest of the soundtrack is solid. The game does a good job of conveying the sounds of combat. Each side has its own audio tones so you will eventually be able to tell which units are fighting each other without having to zoom in. The soundtrack playing behind the game is also fairly epic and, outside of one grating song, is a joy to listen to. Of course the big question is if Stardock was able to deliver the goods. For the most part, I think they have. Moving to the cutting edge of technology isn't easy work. 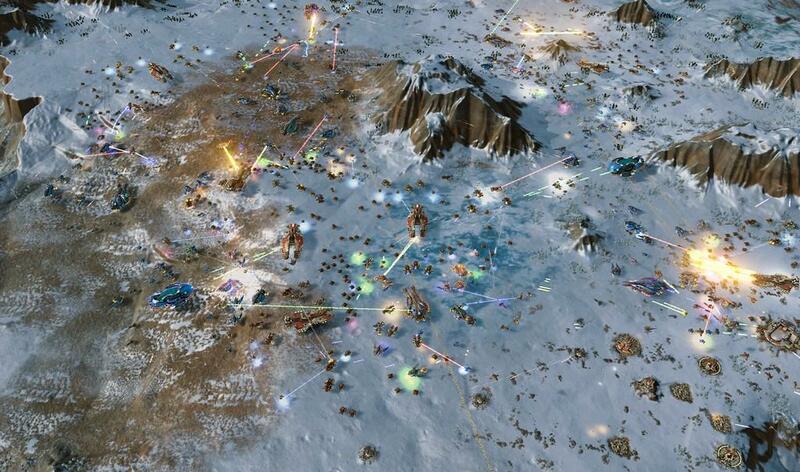 While there are a few rough edges, the game is a mostly solid RTS experience. 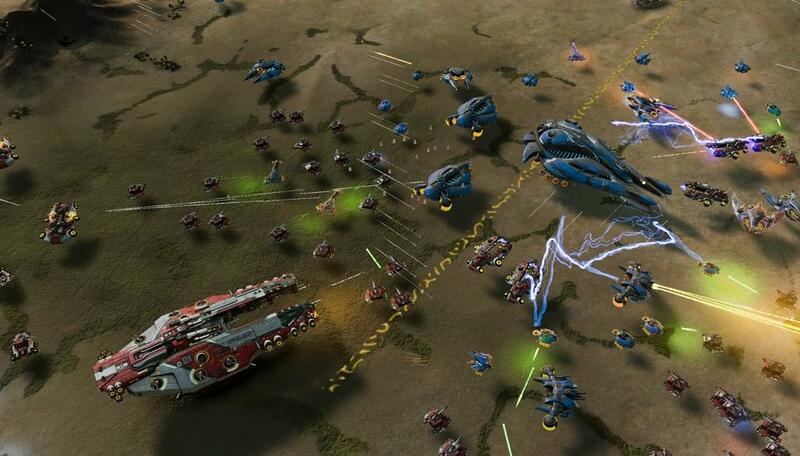 The game could use a bit more personality and some additional units, but Stardock has a strong track record of supporting their games post launch. These things will come with time and community feedback.